I’m burned out on 1/48 scale. It’s strange. 1/48 is predominantly what I built as a kid. Of the thirty-two kits I’ve built since returning to the hobby around three years ago, seventeen of them – 53%. But I’m tapped out on quarter scale. It hit me as I was wrapping up assembly on Eduard’s beautiful new Spitfire(s). Here’s the thing. They’re solid kits. But the whole time, I kept thinking “yeah, but they’re no 1/32 Tamiya Spit”. I know, I know. That’s not really fair. I could count the number of kits that approach the bit Tamiya Spitires on one hand. But fair or not, that’s what was in my head. 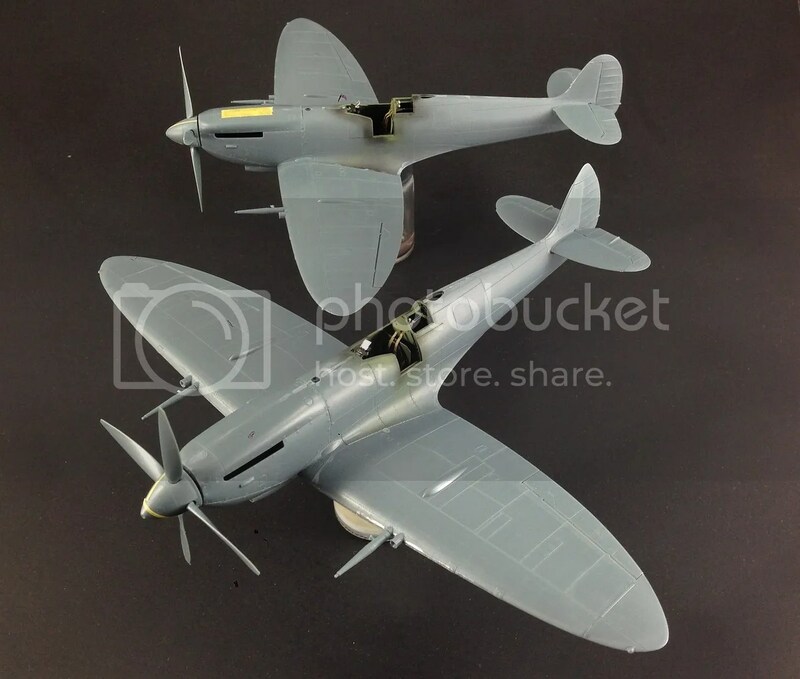 If I really cared about what I was building, I’d do it up right with a 1/32 Tamiya Spit Mk.IX. So I set the Spits aside to focus on Wingnut’s brilliant Sopwith Snipe. And when I rigged my last line and pronounced the biplane finished, I found that I just had zero desire to even contemplate 1/48. Not sure where it goes from here. But look for the next several builds, at least, to be in scales that start with the number “3”. Good! Now I have a chance to place in the local contests in 1/48th aircraft. You smoke me every time! I appreciate the sentiment, but where do you put all those 1/32 kits? I don’t have room for them. I scored two big sliding-glass door display cabinets from a local Hallmark when they sold them. $300 for the set. So I’ve got plenty of room for all but the biggest kits like the HK B-25. My rule, which I will occasionally break, is that the kit has to be able to fit into my Ikea Billy display / bookshelves when finished. I’ve bought all the WnW kits that will fit, and have pre-ordered the new Tamiya Corsair (because with the wings folded…). So, I’ll have a mixed bag of scales, but a nice place to display them, dust-free. My stash, which is around 400 kits now, is about done. I really need to spend my money on other things, and get back to building. I agree with you that tastes change and refine, and can see a thinning out on the horizon.